Introducing scientific concepts to preschoolers and early elementary age students can be challenging. Taking ideas and theories that many adults have a difficult time conceptualizing and making them understandable and relevant is no easy task. That is why I love the following scientific picture books. They talk about things that your kids are asking about, in way that is factual, entertaining, and easy to understand. 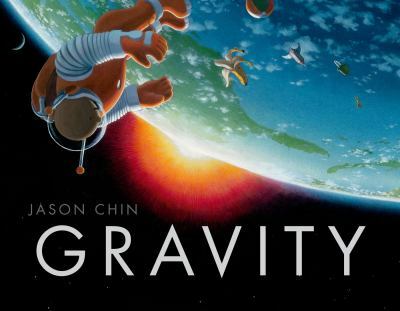 I was excited to read Jason Chin’s Gravity, and it didn’t disappoint. With beautiful, eye-catching illustrations and big, easy-to-read text, Gravity would be exceptional even if it weren’t also parlaying important information. Along with his outstanding Redwoods, Coral Reefs, and Island: A Story of the Galapagos, Chin has proven himself a master at combining beautiful illustrations, an engaging plot, and easy to understand science. The My Body Does Strange Stuff series provides a great resource for answering those hard-to-answer questions kids have about their bodies. What kid hasn’t asked: What Happens When I Cry?, What Makes Me Stinky?, Why Do My Teeth Fall Out?, or How Do Cuts and Bruises Heal? With this series, you can give scientifically accurate answers that are easy for kids to understand. 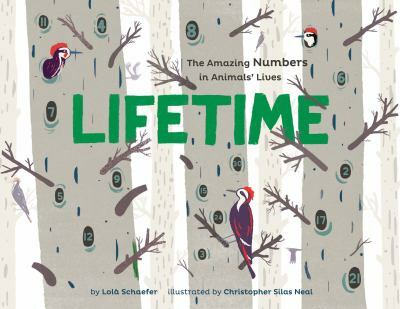 Lifetime: The Amazing Numbers in Animal’s Lives by Lola M. Schaefer is a modern, attractive introduction to science and math. Schaefer does an exceptional job of providing facts that are little known to most kids and Christopher Silas Neal’s illustrations provide a surprising counting element that makes this a great book to read over and over again. Schaefer also provides additional detailed background on the featured animals in the end notes, which will help make this book interesting to older siblings or great to use in a classroom. Do you have any favorite science books for younger kids? Are you looking for a book on a specific scientific topic for kids? We’d love to know and help!